The Tabor Model 6010 is a high-performance, 2-channel, 125 MHz Universal Counter / Timer for applications from R&D benchtop to Automatic Test Equipment. The module offers thirteen automatic measurement functions and has an optional 1.3 GHz third input available for RF requirements. 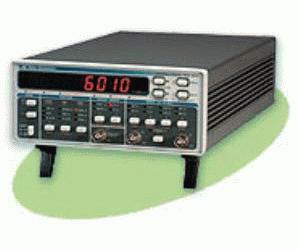 Model 6010 offers outstanding frequency range and high resolution along with numerous special features and capabilities built-in to this optimal Counter/Timer.